If there's one thing I've learnt in life it is to avoid, wherever possible, all forms of counting. Numbers confuse, numbers irritate, numbers are, let's face it, the cause of the current financial global catastrophe (numbers create banks which create bankers which, in turn, create banking collapse – an oversimplification, I guess, but one which I feel is nevertheless at least partially accurate). Numbers generate greed; their absence establishes poverty. Numbers are, therefore, intrinsically evil...aren't they? This may be why I'm ultimately rather hopeless when it comes to money. On the rare occurrence that I find myself actually in a shop AND in possession of cash, I'll try and use notes at the point of transaction, allowing the cashier / sales assistant to calculate the change for me. Cowardly? Perhaps, but counting on fingers (and sometimes toes) at the front of an ever-increasingly irate queue of customers is not a particularly happy experience....defeated by low denomination coin of the realm....how embarrassing. I find that numbers are, in my chosen field of work, by and large an unnecessary irrelevance. Yes there are some archaeologists who love numbers; who will light up at the thought of calculating statistics for Roman amphorae sherd assemblages or who will grin in a heightened state of ecstasy when asked to quantify flint debitage. There is no beauty, that I can see, in numbers; the same digits repeated endlessly (pointlessly) into infinity (and beyond). Words have meaning; words convey mood; words possess an endless poetic beauty. Numbers just sit there: squat, angry, threatening, abusive and unchanging; forever challenging you to trial by mental arithmetic. Numbers are evil. I fail to be impressed whenever numbers are corralled and forced into the field of archaeology, especially when the intention appears solely to be to impress (the weak-minded). 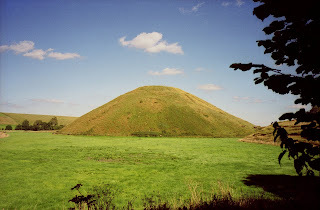 Take, for example, Silbury Hill, the largest 'man' (or woman) made prehistoric earthwork in Europe - surely that fact is impressive enough? Apparently not, for, as any tour guide will be happy to tell you, the mound took some "18 million man-hours" (and I defy anyone to say what a 'man-hour' is, especially in prehistory - did people work till they dropped? Did they have regular lunch breaks? Two days off for every five worked? Religious holidays? Overtime?) to build, from which, I'm reliably (and repeatedly) told we may calculate that it took "500 men working continuously for 15 years" - but what, I hear you shout about 1,000 men - would they take a corresponding 7 and a half years? (and what, for that matter, about 4,000 men? or 8,000 ???). 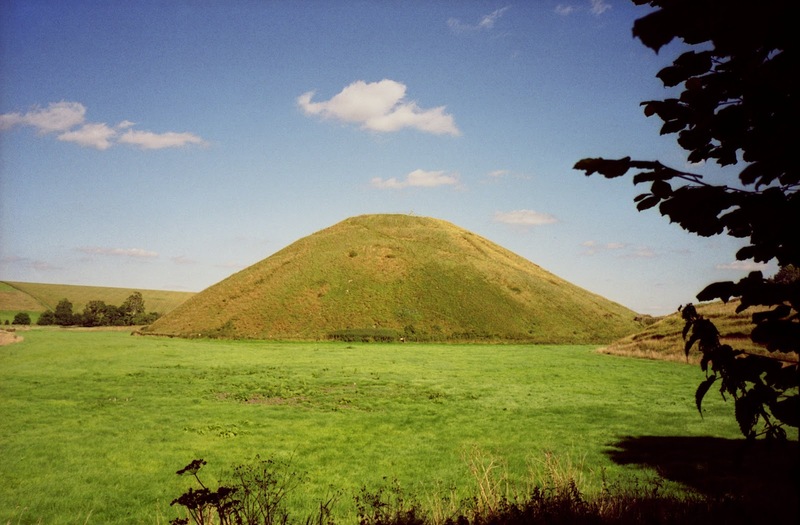 '18 million man hours' certainly sounds impressive, but what if you had 18 million men working on the project, would Silbury have only taken an hour to put together (or half an hour with a mere 36 million people)? Probably not: 18 million labourers in one place does seem improbable, especially as they would undoubtedly have been tripping over each other, getting in each others way, queuing for the toilet facilities (not to say stealing each other's cheese and pickle sandwiches), but to me it sounds no less ridiculous that saying that it took 18 million man hours (or 500 men 15 years) to build the 'hill' as we see it today. Or how about this then: did you know that Avebury is the size of 10 football pitches? Amazing. 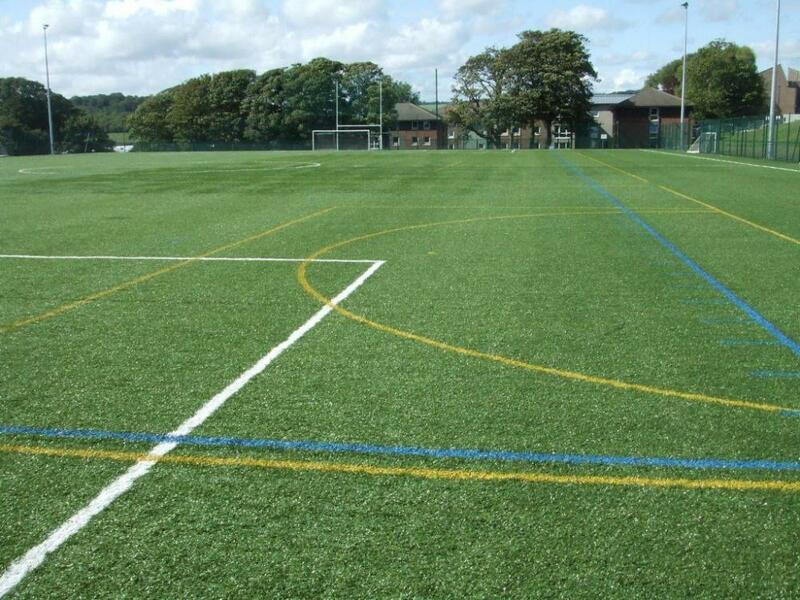 Actually, this had never really occurred to me before (probably as I have no idea of just how big (or small) a football pitch really is - never having seen or been on one). This particular 'incredible' fact is therefore, to me, slightly less than gob-smacking. 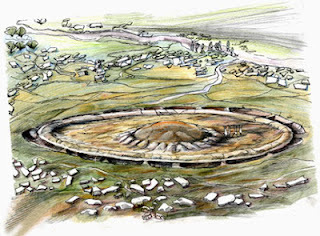 Indeed, I wonder, unless the 'football pitch' is the recognised standard of measurement in the British Bronze Age, then I fail to see its significance when discussing the size and scale of stone circles or henges. How about Cricket / Tennis / Golf...what about bowls, boules, bocce or bullfighting? Do any of these sports get a look in with regard to the quantification (and comparison) of scale in ancient monuments? The (possibly erroneous) belief that hunter gatherer societies did not possess complex systems of counting for the quantification of prey or possessions, preferring only to count up to 'two', everything thereafter simply being referred to as 'many', is something which I find (whether true or not) hugely comforting. 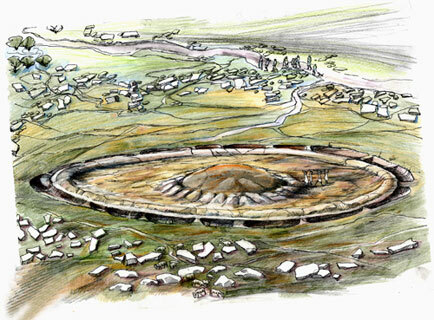 “How many pieces of worked flint did you find in this trench?”; “Many”; “How many post holes comprised the outer ring of the roundhouse?” “Many”; “How many years have you had an innate dislike (and disregard) for numbers?”; “Many”. Thank heavens that I am not the only one who is befuddled by football pitch related sizing. I also get slightly panicky when it is said in an American accent as I'm not sure which particular type of football pitch size it is I should be unsure about! Just wondering if anyone has anything that we can (mostly) all identify with as a measure of size as a matter of vastness? The only thing I can think of which is vaguely standard and pretty well known is a car park space. Lacking in kudos and...well, size...I think. Suggestions please?? ?